I lost count of how many times this book was recommended to me. A lot of people praised Anne Frank's work as being an interesting historical account that accurately describes how Jews lived during the Holocaust, providing an insight on the conditions in a cramped Secret Annexe instead of a concentration camp or the streets, for example. I had high expectations for this novel, and I was somewhat disappointed. Just as the title suggests, it is a diary of a teenage girl complete with mood swings and rants about things that I quickly lost interest in. I have a feeling that this was not meant to be read; it is a private diary, after all. One of the things I actually enjoyed was the writing style itself. The way she structures her sentences, the words she uses, her descriptions are just fabulous. It was enjoyable, it had me hooked and forced me to keep reading. I really like it, and it upsets me that Anne never got the chance to become something bigger, because she absolutely would have — a journalist, a writer. Hell, she writes better than some of the bestselling authors today. 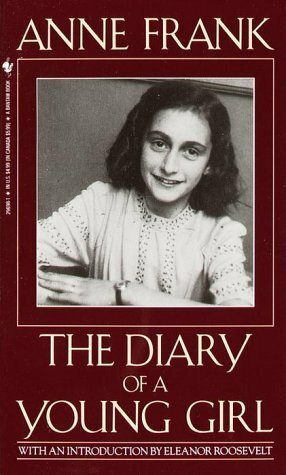 This diary is not about the Jews, or the Holocaust, or war. It is about a girl who liked to write, a very real person who used to live, breathe, do the same things we did. She was a talented author, but her diary is still a diary. Actually, she was better off than most people that were persecuted for being who they were. There are better first-hand accounts of the Holocaust out there. However, this is still a decent read.